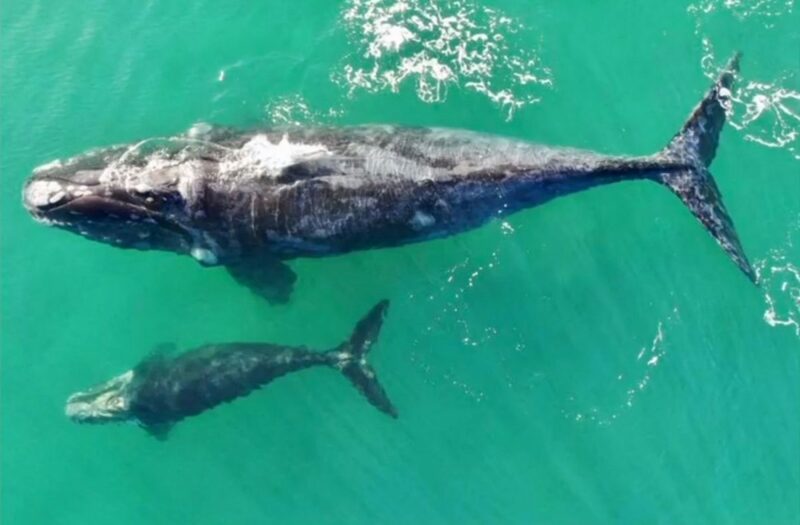 DAYTONA BEACH, Florida—Researchers have reported seeing three rare right whale calves off Florida’s Atlantic coast. 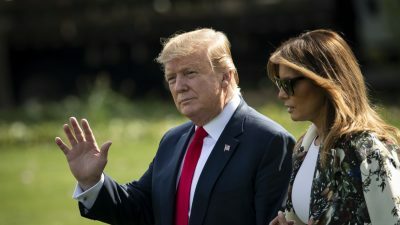 Philip Hamilton of the Anderson Cabot Center for Ocean Life at the New England Aquarium says the calves are “a spark of hope” for the critically endangered marine mammals. The Daytona Beach News-Journal reported that Florida Fish and Wildlife Conservation Commission researchers spotted three pairs of mothers and calves in the waters between Fernandina Beach and Ponte Vedra Beach in late December. Right whales typically migrate from the North Atlantic to give birth off the coasts of Georgia and Florida in December through March. 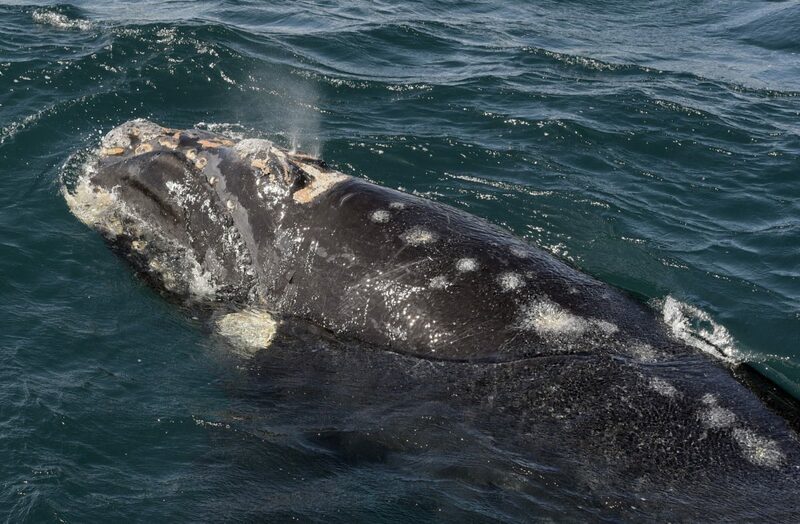 Scientists estimate there are only about 450 North Atlantic right whales remaining. No newborn calves were spotted during the last season, and just five were counted during the previous year. 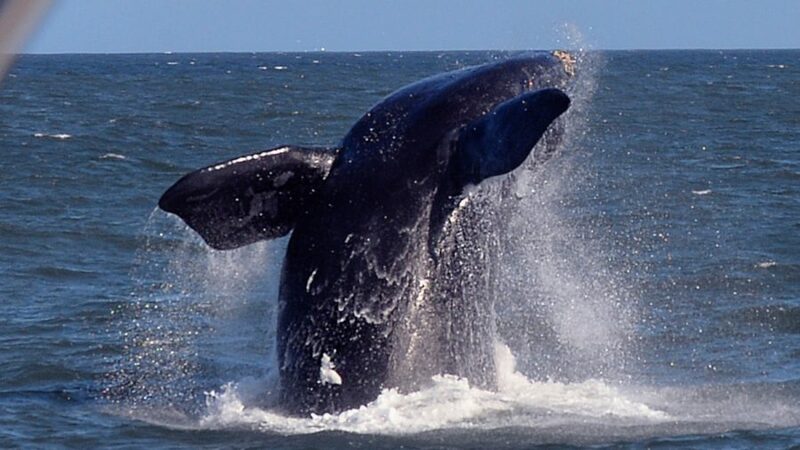 National Geographic reports that all right whale species have enjoyed international protection status since 1949. After they were given protected status, Southern right whales showed population growth, but Northern right whales are still at-risk, the most so of all large whale species. Populations grow has been slow due to the long period of time it takes for the whale to be able to reproduce. 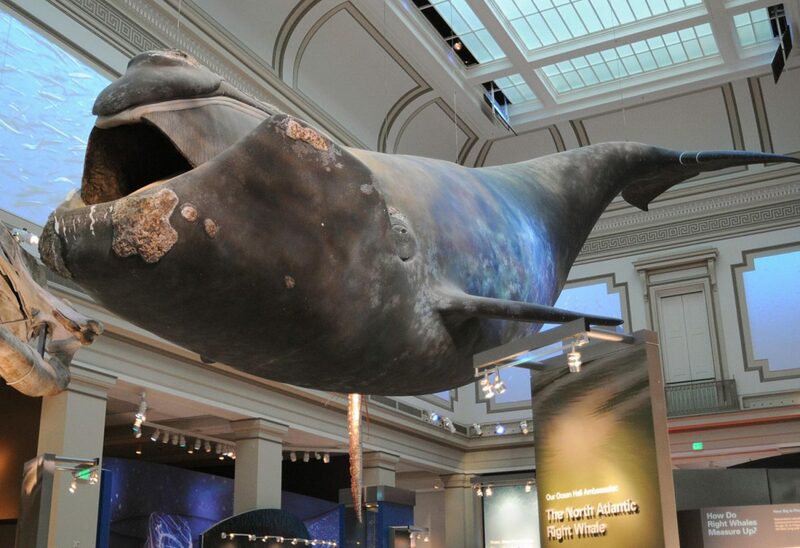 Of all large whales, right whales are the rarest. They grow up to 70 tons and 55 feet in length. They also have a life span of up to 70 years, according to the Cornell Lab of Ornithology. 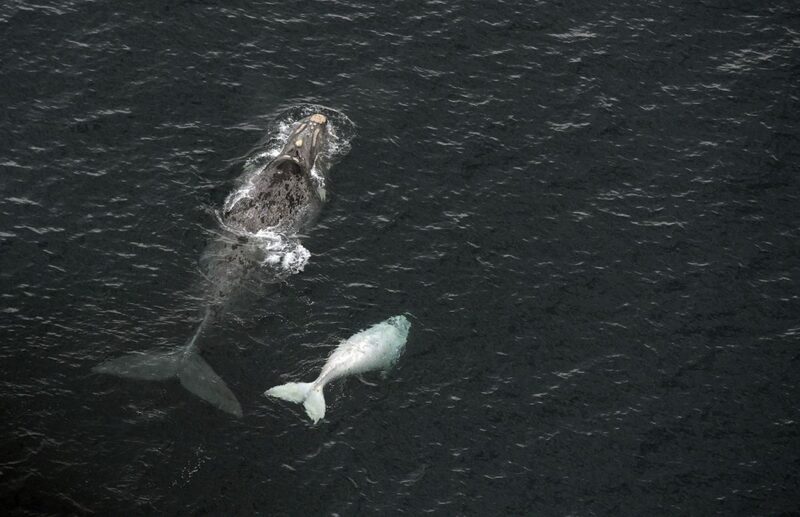 The gigantic mammals give birth to calves that weigh around 1.5 tons and are 10-15 feet long. These calves feed on their mother’s milk for 8 to 17 months after they are born. Cool and fertile waters off the Northeastern United States and Canada are home to North Atlantic right whales. The oceans of the world have two more right whale species: One is in the North Pacific (the North Pacific right whale). There are about 100 of them there. Another is the Southern right whale, there are about 8,000 of them in the Southern Ocean. Whalers gave “Right whales” their names because they recognized them as the right ones to be hunted down. These sea monsters are valued for their large quantities of oil and baleen. National Geographic reports that the right whales float accommodatingly after being hunted because they possess thick blubber. Right whales came close to extinction in 17th, 18th and 19th centuries because of the extensive whaling that happened during this period.